Production: Common Man Production Cast: Harish Uthaman, Lakshmi Menon, Vijay Sethupathi Direction: Rathina Shiva Music: D Imman Screenplay: Rathina Shiva Story: Rathina Shiva Background score: D Imman Cinematography: Dinesh Krishnan Editing: Praveen K. L.
Trisha with the most happening hero? When is KV Anand-Vijay Sethupathi film going to release? Exciting: Details about the title of Vijay Sethupathi - K.V.Anand project! Exclusive: Manjima Mohan to replace Keerthy Suresh? 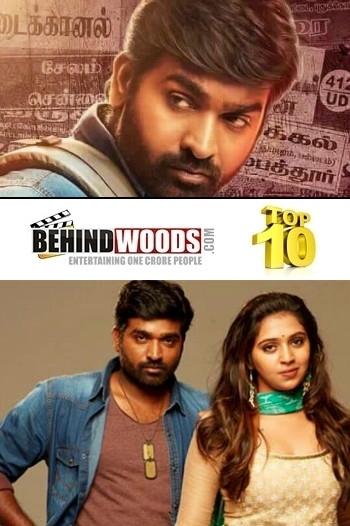 Exclusive: Vijay Sethupathi's 3rd association with this hit machine? Makkal Selvan in an action mode! Rekka aka Rekka is a Tamil movie with production by Common Man Production, direction by Rathina Shiva, cinematography by Dinesh Krishnan, editing by Praveen K. L.. The cast of Rekka aka Rekka includes Harish Uthaman, Lakshmi Menon, Vijay Sethupathi.